The is a fabulous deal from Whole Foods if you have an American Express card. 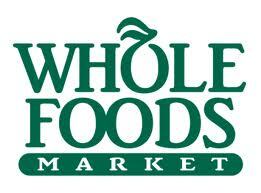 Spend $75 in a single purchase at Whole Foods using your Amex Card receive a $10 statement credit by using your synced American Express card by 6/30/13. Be sure to sync your card first to get credit. See all the details about the $10 American Express/Whole Foods credit. And grab these awesome organic deals from Whole Foods paired with coupons! Check your local Whole Foods to verify their coupon policy. It varies by store. My Vegas store is very coupon friendly! Sale items & prices vary by region. The list below provides great coupon match-ups to use, no matter the local price! 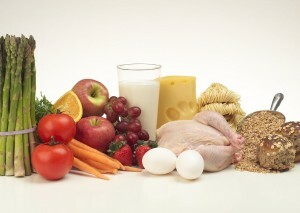 Extreme Couponing and being healthy is possible! Stack Whole Foods coupons and manufacturers organic coupons for double savings. Search the free coupon database by the product name and match your coupons! Over 150 organic coupons – get yours! Here are a couple of places I go to for printing coupons for various whole food type stores. Also, most grocery stores now have organic & natural food sections. I find these sections are getting larger as the desire for cleaner food from patrons grows. There are always great coupons for natural and organic coupons – search the free coupon database using the terms “natural, organic or by the product name” to find a ton of coupons. There are many that are in our weekly Sunday newspaper coupon insert also there are some using the links below also. WATCH this VIDEO to see how to easily find all the coupons when use the free coupon database! Check these links often, as the coupons are continuously updating and changing. And remember to print twice! I will begin to post some of the better deals I find at Trader Joe’s and Whole Foods Market in the upcoming weeks, so stayed tuned. If you have any other great places to go to for organic printables, please share! Stack Whole Foods coupons and manufacturer organic coupons for double savings. Search the free coupon database by the product name and match your coupons!